Where are chefs finding inspiration for their food? What cooking trends and techniques have been inspiring them recently? How far have they come in their quest for sustainability? Our monthly Winnow Chef's Table, series brings you interviews with chefs from all over the world, sharing some insight into their culinary origins and philosophies. 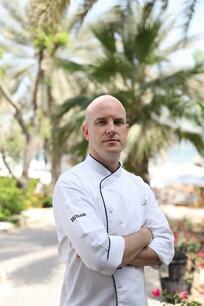 For this edition of Winnow Chef’s Table, we interviewed Steven Smalley, Cluster Executive Chef at Hilton Dubai Jumeirah and Hilton Dubai The Walk. While filming for the case study video showcasing Hilton Dubai Jumeirah achievements, Steven spoke to us about his inspirations, challenges, and what he’s learned along the way after reducing food waste by 70%. It started 20 years ago. I first thought of becoming an electronic engineer but end up deciding to follow my heart and do what I really love, which is cooking. It was one of the best decision I’ve ever made. After finishing college, I worked in England for four years, and then decided I wanted to travel. So, I moved to France, Italy, Ireland, Netherlands, and finally to the UAE. I have been residing in Dubai for the past 10 years. What is your approach to cooking? When it comes down to the food, it's all about the ingredients. I'm trying to use as much as possible locally sourced ingredients. They are fresher, and also more sustainable because eliminate the long distance that some foods need to travel. Here at Hilton Dubai Jumeirah and Hilton Dubai The Walk, we try to be smart with food and cook delicious meals in the least harmful way for the environment. What excites you about cooking? The creativity is what excites me about cooking. Also, I get excited about the fact that the days are never the same, and unexpected things happen all the time. It’s a job that you just can’t feel bored doing it. But, stress is a big part of the job, and I am one of those persons who is addicted to it. I do get frustrated if I feel nothing is happening around me. But, at the same time, I believe that stress can bring the best out of me. How would you describe Winnow to another chef? For a chef who has never heard of Winnow before, I would describe it as a device that tracks and monitors what you're wasting from your buffets. It's a brilliant way for us to control how much food we produce, and also analyse trends and guests’ preferences. Based on all of that, it allows us to create a balance between production and minimising food waste. Is Winnow easy to use and has it helped your team become more efficient? The winnow system is very easy to use. It’s a simple set up, basically composed of a scale, a tablet, and a bin, which are things that we are all very familiar with. All you need to do is put the food in the bin and use the screen to categorize it in a matter of seconds. And, that’s it. Simple as that. Tell us about the experience of working with Winnow and how you’ve cut food waste? We were very honest with ourselves since the very beginning. We didn’t change any of our processes, and we recorded all our waste during a period of one week to set our baseline figures. With that, we realized that we were throwing away more than we thought. We then started analysing our daily reports to identify which dishes were coming back more often. Based on that we began cooking cutting amount we cook of certain dishes to minimise waste. Now, we’ve reduced food waste by 70% and we’ve saved $65,000. How have the reports helped you and your team drive down waste? I feel extremely proud of my team because they have really embraced our food waste reduction efforts. 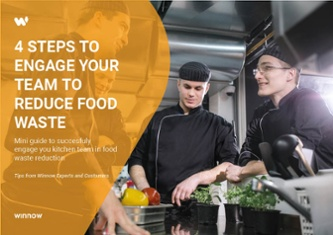 It was essential for them to have the insights from the Winnow reports to know exactly which dishes should be cooked less. In regards to our breakfast buffet, for example, the reports showed us that we were cooking too much for the last period of the buffet. So, we decided to cook certain items during breakfast. In this way, we can avoid overproduction and at the same time, please all guests including those who come in the last minutes before it closes. Would you recommend Winnow to other chefs? Absolutely. 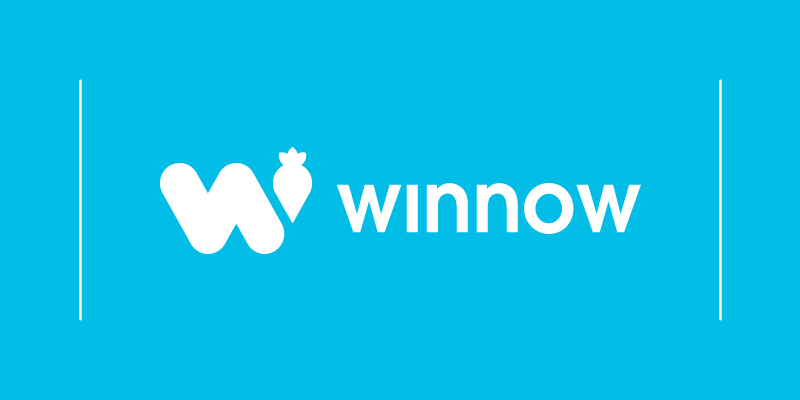 I would recommend Winnow to other chefs, especially for those who are running large teams and busy buffets. Chefs need to be honest with themselves and recognize that without the help of technology is incredibly hard to know exactly what is being thrown away. I’d propose to chefs to just give it go and try Winnow, because in end of the day, they have nothing to lose and a lot to gain. What would you say to chefs who think they don’t have any waste? To chefs who believe that they don’t have any waste, I would ask them to be honest with themselves, because It’s physically impossible not to have any waste. In buffets, especially, it’s a tightrope between having enough and running out food and looking bad. Invest in technology so you can confidently minimise waste without affecting the guest's experience.